Home // K-Blog // Explore // How does an FDM 3D printer work? How does an FDM 3D printer work? Numerous 3D printing technologies are currently available: fused deposition modelling, stereolithography, laser sintering and powder binding. At Armor 3D we are obviously interested in FDM, offering a range of innovative and environmentally friendly materials. But how does the 3D printer use our filament? How does the machine work? 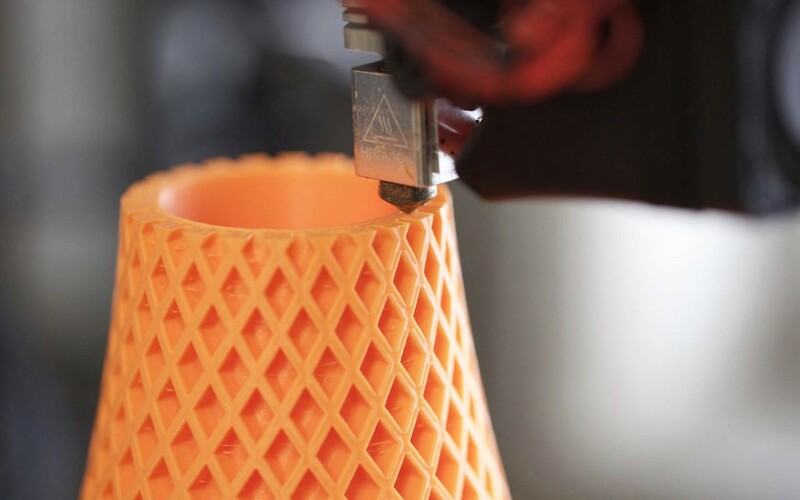 A summary of a few key points about FDM 3D printing. In the late 1980s, Scott Crump applied for a patent for fused deposition modelling. The co-founder of Stratasys then threw open the doors of 3D printing to a wider audience: since that time, hundreds of different models of 3D printers have been produced. It is one of the most widespread technologies on the market due to its relatively low cost, but also its ease of use. Just like 3D printing, it all starts with the desired object being modelled in 3D by CAD software. The user then obtains a file which is cut up into multiple layers using a slicer, for which the printing parameters can be selected. The parameters vary depending on the printer model and, obviously, the selected filament. The 3D file is then sent to the printer to be created in three dimensions, layer by layer. The principle is relatively simple: the printing material – in our case a plastic or composite filament with a diameter of 1.75mm or 2.85mm – is directed to the printer’s extruder, which pushes it forward or pulls it back. It is then extruded via a nozzle on the printing plate. It is this plate – or the printhead – that moves along the X, Y and Z axes to deposit the material at the desired location. The operation is repeated, layer by layer, until the desired object has been produced. Printing supports can be used to hold the object’s most fragile parts, something like a scaffold. When FDM technology was first being developed, the filaments most widely used were traditional plastics such as PLA and ABS. And this still applies today, although there are significant developments with composite and hi-tech materials. Armor 3D is contributing to this growth with its technical range, including ABS Kevlar and PEKK Carbon. FDM 3D printers are currently developing rapidly with models of greater or lesser complexity, incorporating one extruder or more, enabling different colours to be printed at the same time. There are even models that combine two different print technologies: XYZprinting recently revealed its Da Vinci Color, a machine combining FDM and Inkjet. Armor 3D will continue to stay abreast of such developments by offering a range of materials fully adapted to market demands. 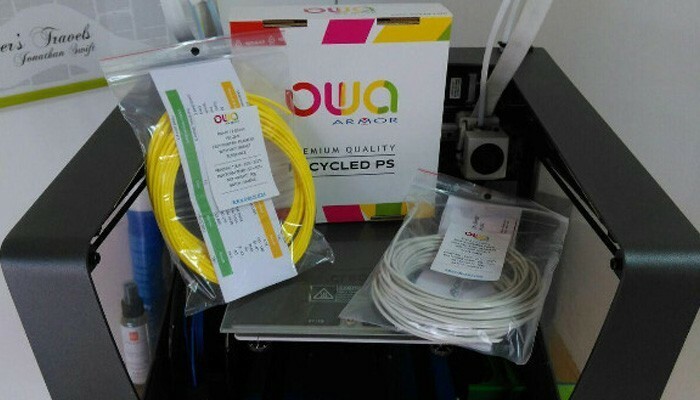 Do you want to use hi-tech plastic filaments on your FDM 3D printer? Please don’t hesitate to contact our team to help you find a printing material compatible with your requirements.